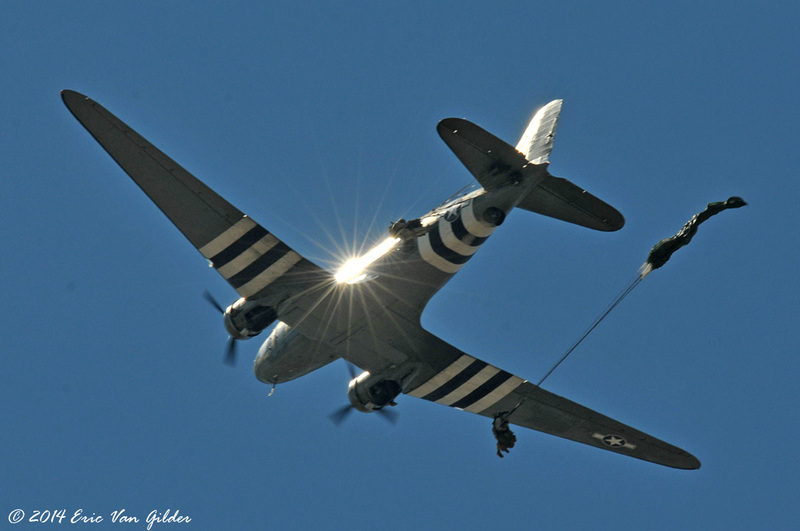 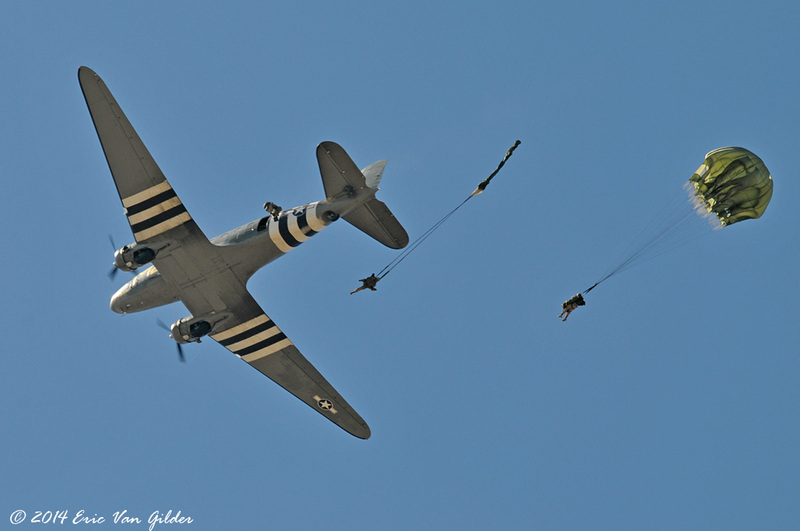 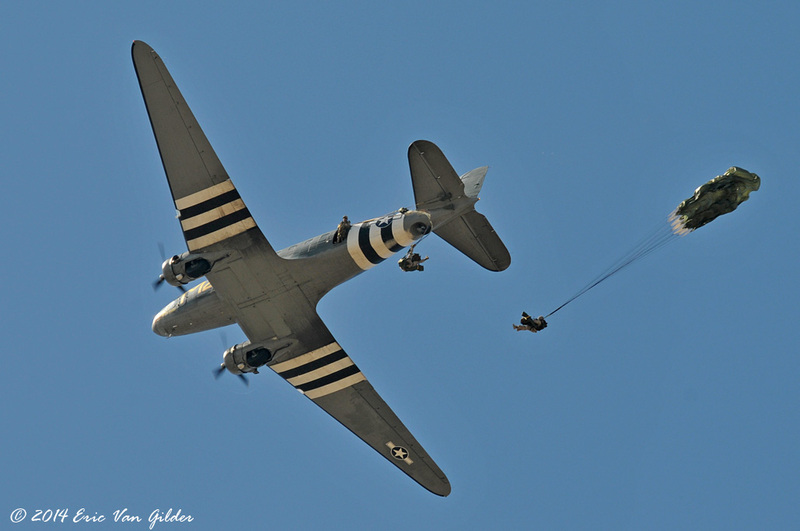 The C-53 Skytrooper is a variant of the historic C-47 Sktrain. 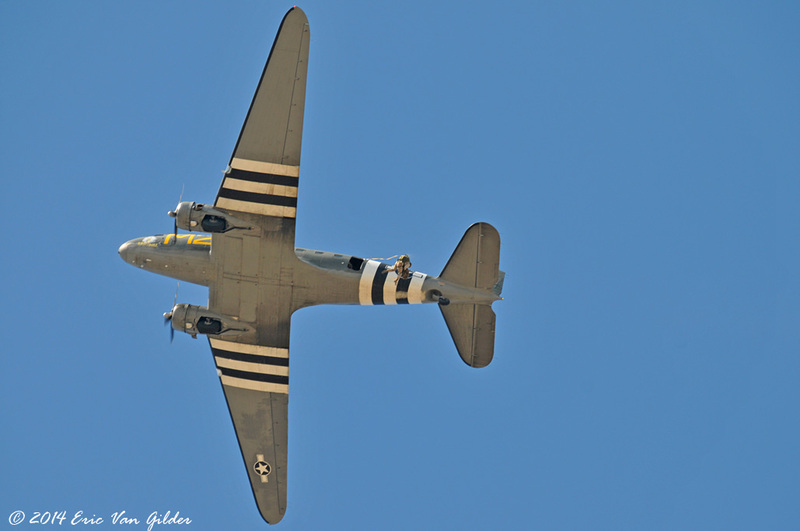 The C-53 pictured below is a veteran of the Normandy invasion (D-Day, June 6, 1944). 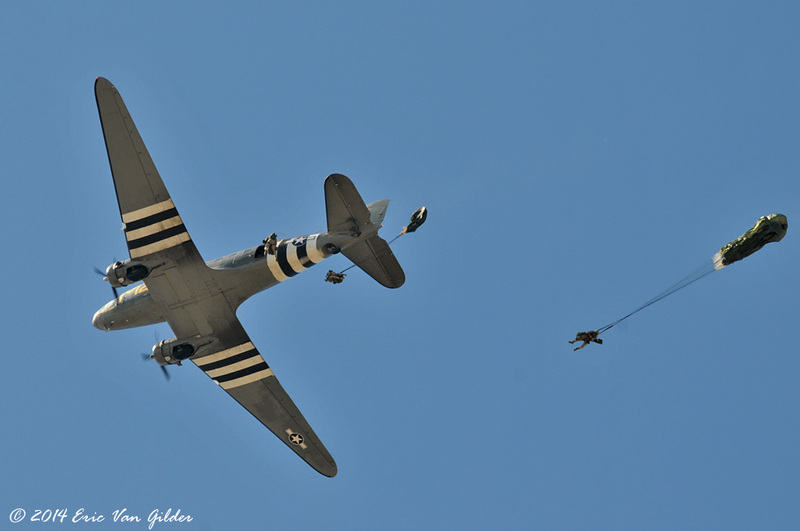 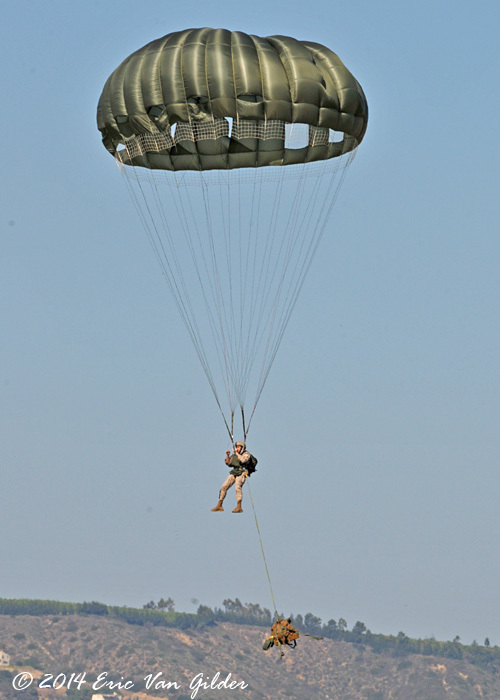 US Marine paratroopers jumped from this historic plane during the afternoon show using the round parachutes that are similar to the ones used in WWII. 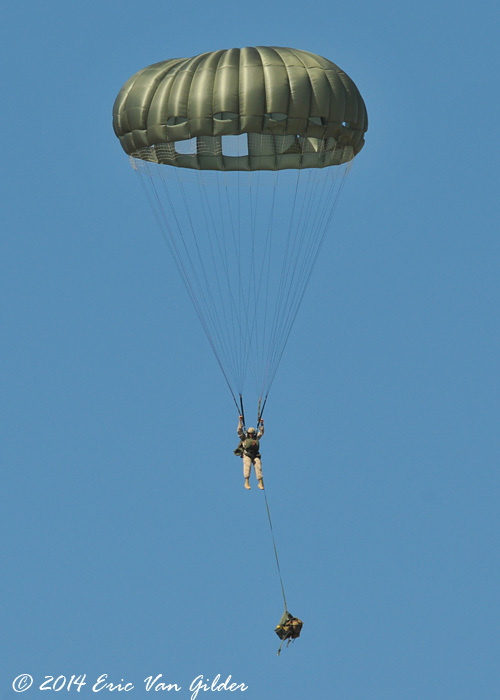 They jumped using static lines from 1,500 feet.